This article about some reporters being on the set of the, "Justice League," movie coming out in 2017 is an odd read. It is weird because more than half the article is basically Zack Snyder and his film crew apologizing for, "Batman VS Superman," but then walking back the apologies a bit to the point where it is sort of a half-apology? The reporters saw scenes being filmed that it is pointed out have more levity than, "BVS," or its predecessor, "Man of Steel,"--and the article almost reads as if the set had a tone of, "Look, we've added humor, are you happy now?" Snyder makes it clear he understands people didn't always like the dark tone of the other flicks, but says things like how the, "BVS," movie had to dig down into the heroes but now they can be lighter--again he's basically saying, "I'm sorry, but I think I was right...I"ll give you what you want now though." Time will tell if, "Justice League," is better regarded than, "Batman VS Superman," which I actually liked but didn't love. 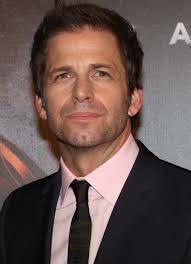 For now though, it sounds like Zack Snyder is being really passive-aggressive about the next movie.